What makes someone or something a monster? To what extent, should we value honor, courage, and loyalty? ​What does it mean to be a good leader? 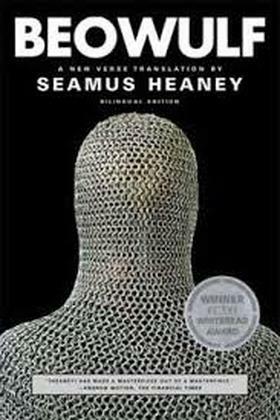 Discuss: Based upon what you have already picked up about the character of Beowulf and 6th century Scandinavian cultural notions of leadership, the role of the warrior, and the code of honor, how do you think Beowulf will respond to Hrothgar's statement of thanks in lines 927 to line 955? Contrast your answer with what Beowulf actually says. CCSS.ELA-Literacy.L.11-12.4 Determine or clarify the meaning of unknown and multiple-meaning words and phrases based on grades 11–12 reading and content, choosing flexibly from a range of strategies. CCSS.ELA-Literacy.L.11-12.4c Consult general and specialized reference materials (e.g., dictionaries, glossaries, thesauruses), both print and digital, to find the pronunciation of a word or determine or clarify its precise meaning, its part of speech, its etymology, or its standard usage. CCSS.ELA-Literacy.L.11-12.4a Use context (e.g., the overall meaning of a sentence, paragraph, or text; a word’s position or function in a sentence) as a clue to the meaning of a word or phrase. Highlight the definition in which the word is used in context. Lines 816-17: "Sinews split and the bone-lappings burst." Read and discuss together Lines 1160 to 1278. Read and discuss together Lines 1279 to 1590. Identify five Scandinavian values that are revealed in Hrothgar's speech. ​Create your own kennings here! Read and discuss together Lines 2425-2619. The Word-Hoard is due today. The final journal is due on Monday.